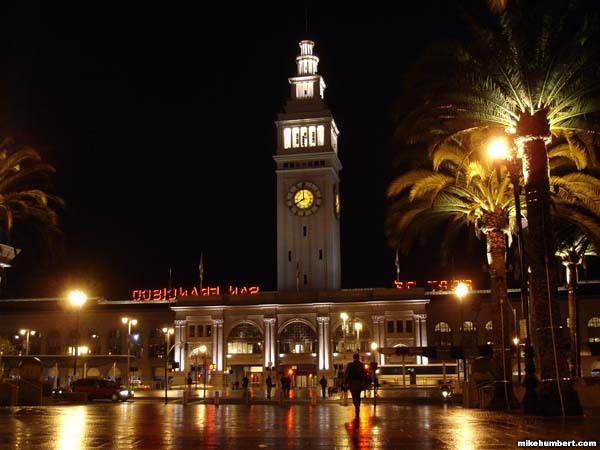 Situated at the foot of Market Street, construction on the Ferry Building was completed in 1903. 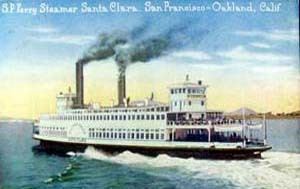 In the days before the Golden Gate and Bay Bridges, ferries were by far the most common way to enter San Francisco, and the Ferry Building was the first thing a visitor saw. 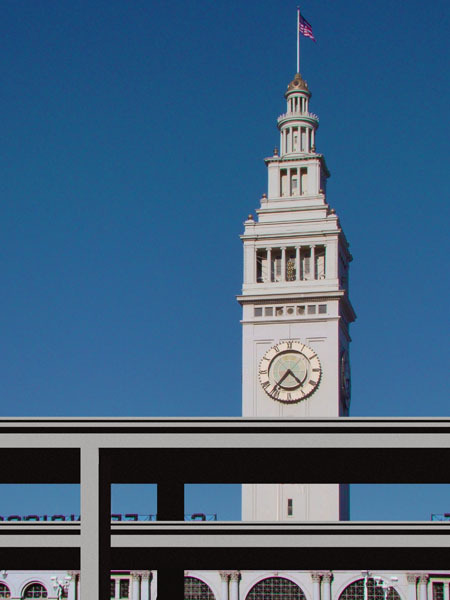 Not only did all the ferries dock at the Ferry Building, but all the Market Street streetcars made their loop directly in front. 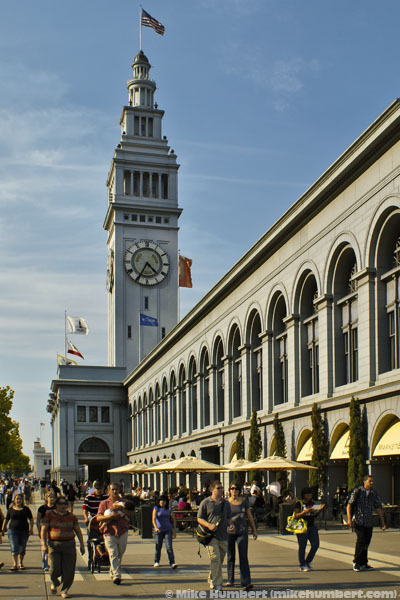 At its peak in the early 1930s, the Ferry Building has 150 landings a day, every day. 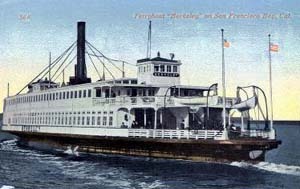 Many of the ferry boats were quite luxurious, and large enough to transport passenger and their automobiles. 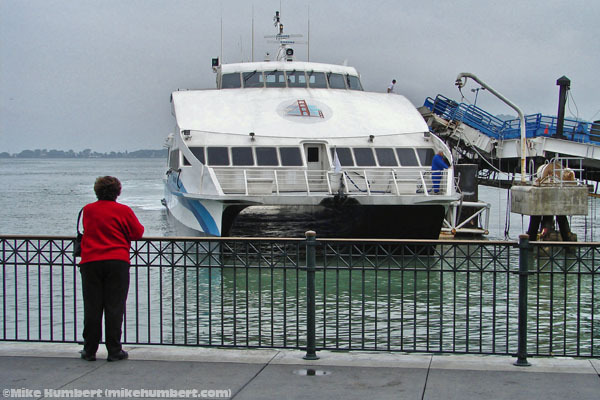 As people got used to the idea of driving themselves across the bridges, the ferries became less and less important, and gradually faded away. 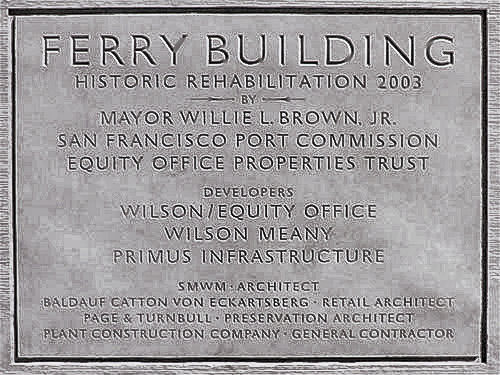 The Ferry Building itself was converted to office space, or sat vacant. 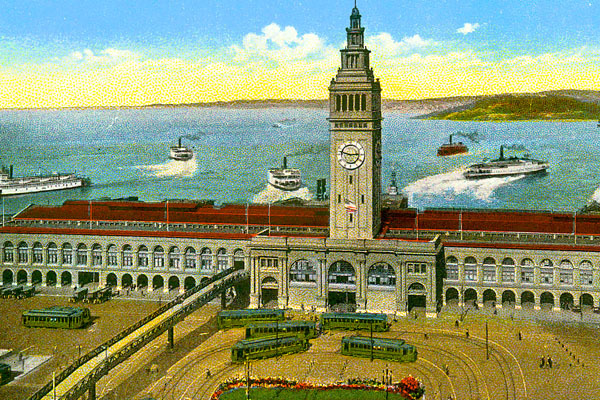 It only got worse when the Embarcadero Freeway was constructed. 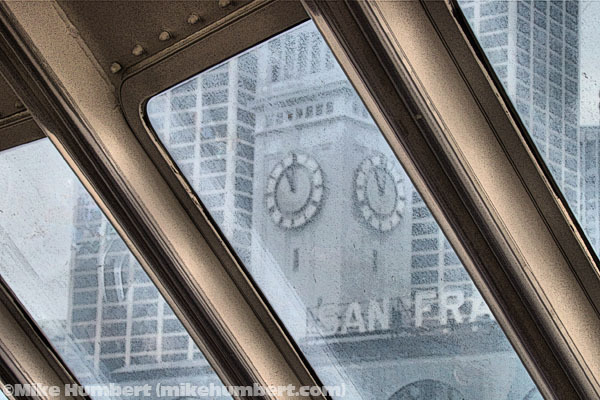 This double-decker monstrosity effectively hid the entire building, leaving only the clock tower showing. 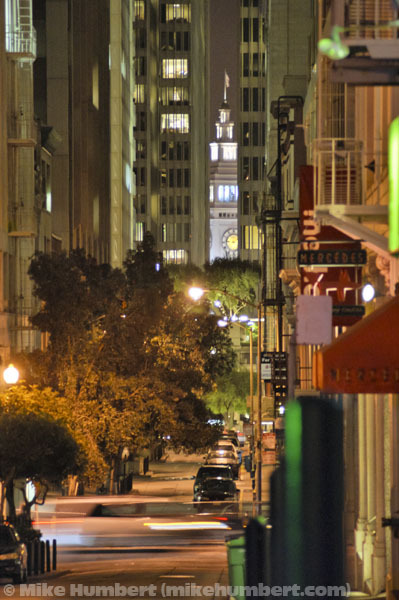 It took nothing less than the 1989 Loma Prieta earthquake to get all that ugly concrete out of the way. 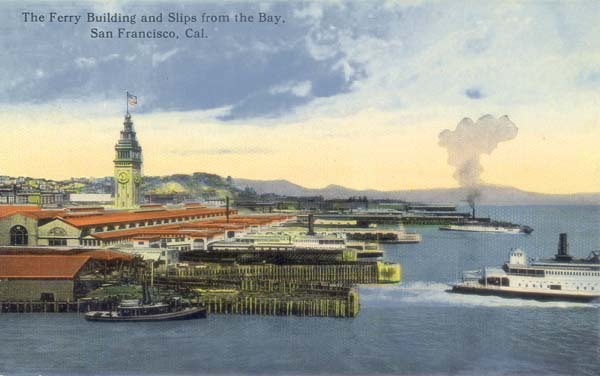 Within three years, the last of the rubble was removed. 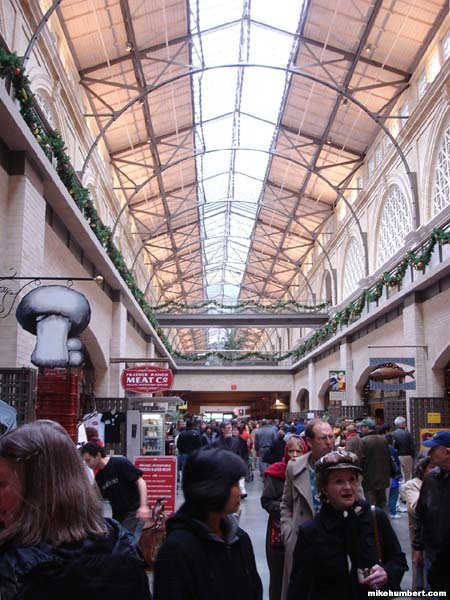 A few years after that, the Ferry Building was remodeled, refurbished and transformed into an upscale food mall. 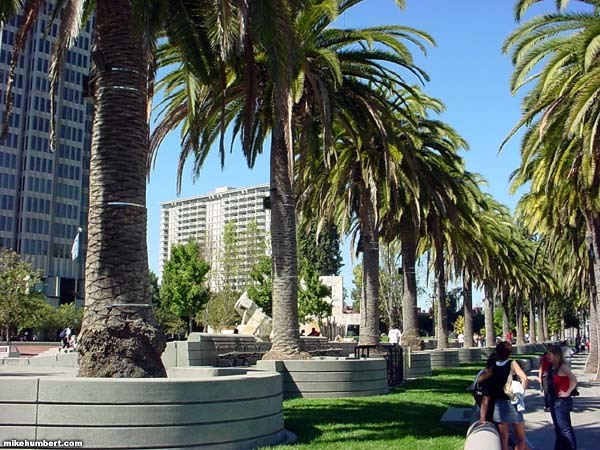 And where the Embarcadero Freeway once stood, there is now a beautiful, palm tree-lined boulevard. 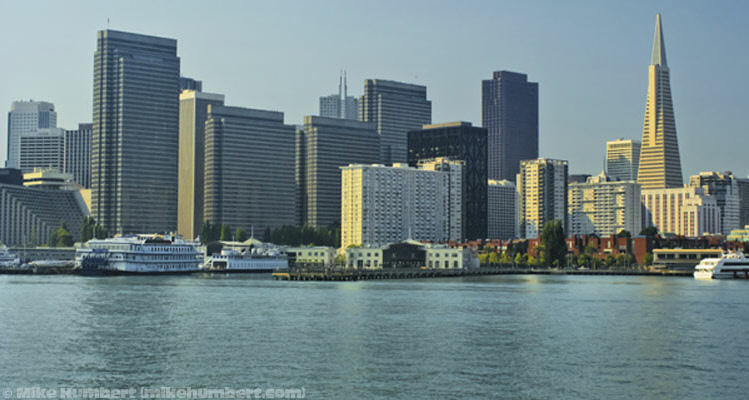 They’re nowhere near as big, and not as many of them, but they sure are fun, and offer great views of The City from the water. 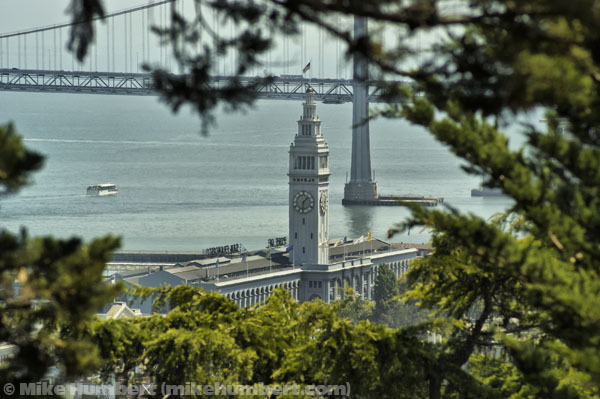 The Ferry Building as seen from down the Embarcadero, from the top of Telegraph Hill, and from Chinatown (looking down Commercial Street).